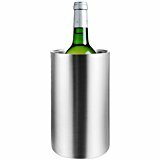 Dimensions: 12 x 20cm, Durable stainless steel construction Brushed Finish - Ideal for domestic or professional use .Doublewall interior keeps wine cool for longer and prevents any condensation on the exterior .Mix and match with our other products in the Kosma barware range .A perfect gift for your friends, your loved ones or maybe buy it as a treat for yourself. We take pride in our work and the variety of products we offer.With the development of the hardware industry, new products will have a competitive price, and its reliability, practicality, modernity, convenience and popularity. Looking for ideal One Bottle Metal Ice Bucket Manufacturer & supplier ? We have a wide selection at great prices to help you get creative. All the Metal Ice Bucket for Wine are quality guaranteed. 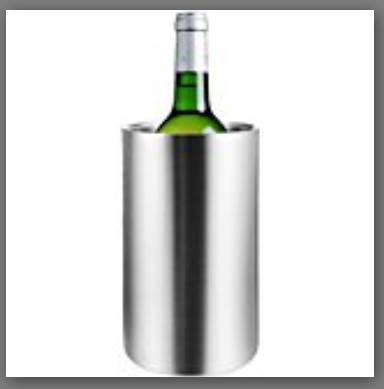 We are China Origin Factory of Ice Bucket for Wine. If you have any question, please feel free to contact us.